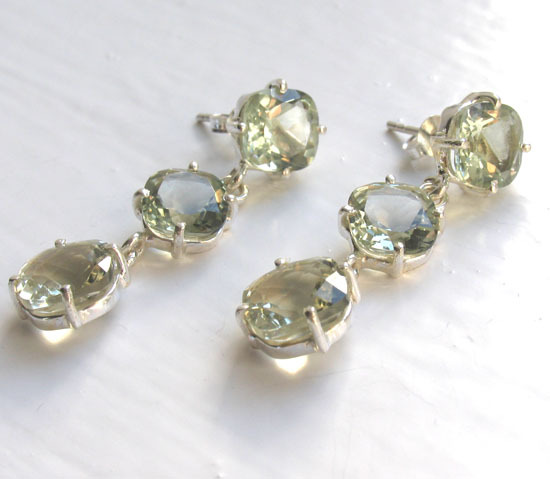 Simply stunning, these fabulous earrings shimmer with glittering green amethyst gemstones. 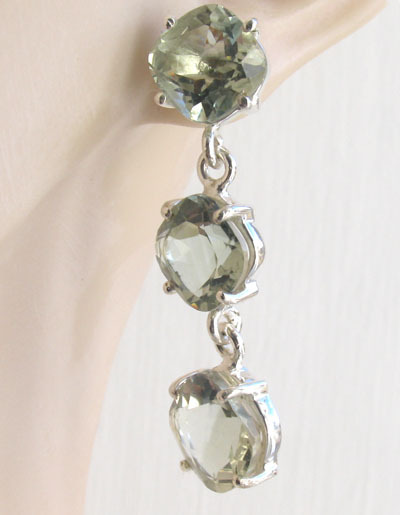 These are square green amethysts claw set into sterling silver. The top 2 amethysts are diamond cut and the bottom amethyst is cushion checker cut. 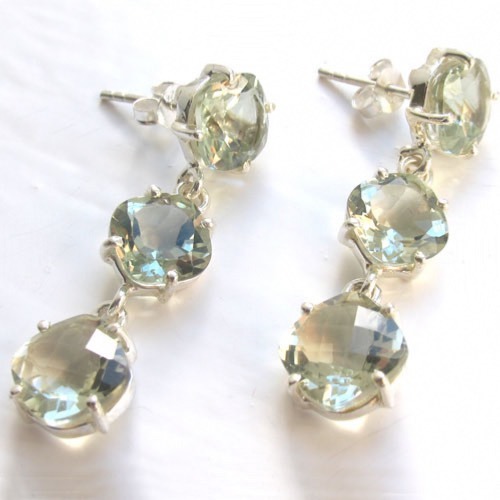 They sparkle magnificently as the facets catch the light as the earrings move. All our gemstone jewellery features genuine stones. The earrings fasten into your ear with a post and butterfly fastener behind the top gemstone. These green amethysts are premium, flawless gemstones and show their quality through the beautiful even colour and brilliance.